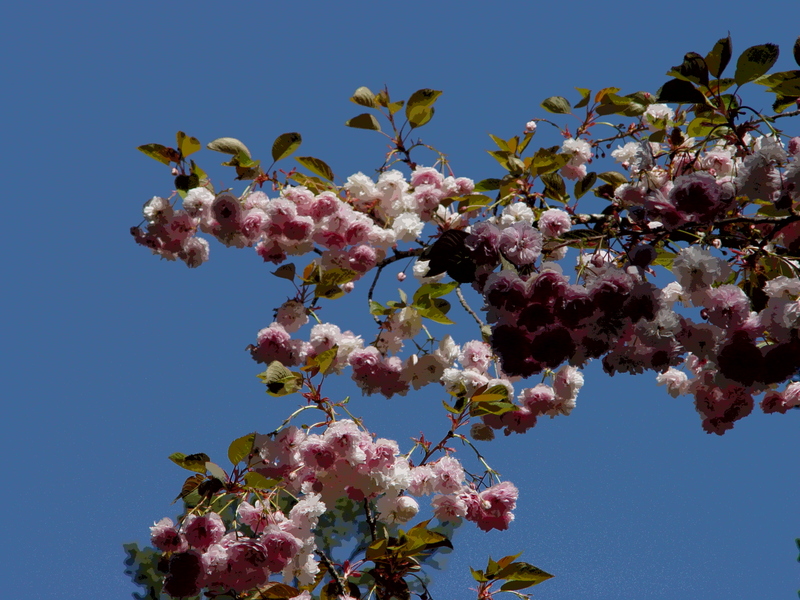 Spring blossoms … two little words that rank high on the list of what makes people happy in March. These delicate paper-like blooms are nature’s answer to tax season. Things are looking up, and you should be too. 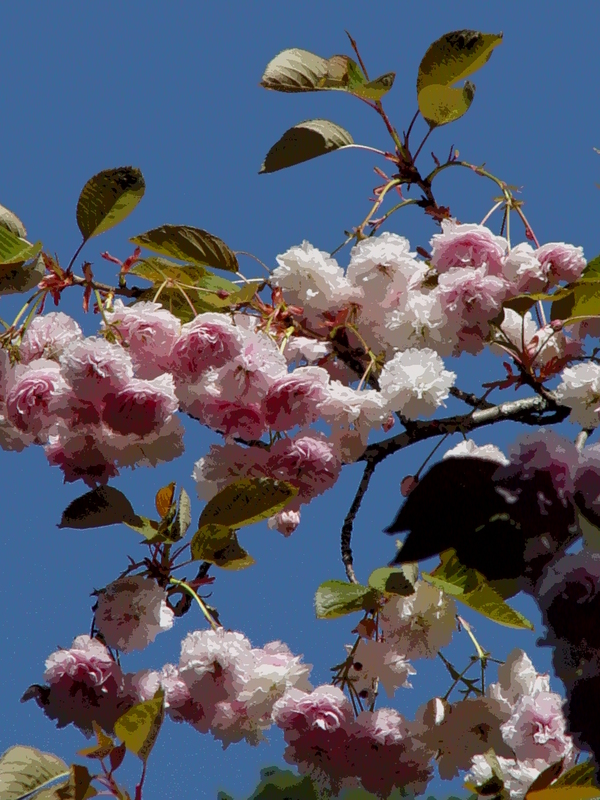 The neighborhoods of Oakland are bedecked in pink and white blossoms. Some trees are in full bloom as I write this. Others have already peaked, like the blossoms on Olive Avenue (delicious irony). Here are some places to stroll and take in these wondrous bouquets of nature: Mountain View Cemetery, where in a few short weeks they’ll have 3,000 tulips to add to their color; the Japanese garden in Piedmont (on Highland Avenue near the Recreation Center); the Bonsai Garden at Lake Merritt and downtown around Frank H. Ogawa Plaza. Let me know where you see the best blossoms (plum and cherry) and I’ll pass the word along. I’ll also post the prettiest blooms on my website at www.ginnyprior.com. Spring spruce-up: Here’s a feel-good project in Oakland that takes just a few hours and can accomplish so much. Saint Mary’s College is organizing teams of volunteers to help spruce up our schools on March 16. The list includes: De Colores Head Start, Saint Lawrence O’Toole, Saint Martin de Porres, Saint Elizabeth and Garfield and Franklin elementary schools. Please pick a school andregister your team, big or small, at stmarys-ca.edu/dayofservice. A little gardening and painting and general cleanup will really make these schools shine. Art updates: Here are two local exhibits worth checking out this month. One is photographer Barry Shapiro’s haunting collection, “A Dangerously Curious Eye,” shot in San Francisco’s Hunter’s Point during the 1970s and early 1980s. Rarely seen before the artist’s death in 2010, these iconic images document one of the Bay Area’s toughest yet most vibrant neighborhoods and are on display at Warehouse 416 (http://warehouse416.com). The second exhibit is timely, especially in light of the new History Channel series, “Vikings.” Icelandic-American artist Arngunnur Ýr, who lives in Montclair, has a brilliant new collection of landscape watercolors in a solo exhibition in Booth 1.01 at VOLTA New York. Save the airfare and see her work online at http://www.marxzav.com/announcements/VoltaAnnc2013.php. Animal tales: Springtime is birthing time in the animal kingdom. And while there are fluff balls at every turn, some of the cutest newborns are the tribe of baby goats — the first in 15 years — at the Oakland Zoo. Check out this video by longtime zoo staffer Margi Haight: http://bit.ly/YxtwuN. They may not be as cute as bunnies or chicks, but these little guys are adorable. ← Town Crier: Spring training is here — play ball!